EDB in its efforts to increase apparel exports to EU, organised an apparel promotion program in France by participating at the ‘Apparel Sourcing Paris 2018’ which is the leading sourcing trade fair held in Europe for the second consecutive year in collaboration with the Sri Lanka Embassy in France. Sri Lanka’s first participation at this fair was organised in September 2017 with the participation of eight Sri Lankan companies. As a result of meetings at the 2017 fair, a buyer from Spain visited Sri Lanka to further strengthen the relationships and have placed orders for manufacture for three Spanish brands. Orders to the value of $ 200,000 (Rs. 34 m approx.) has been executed. A German buyer also visited Sri Lanka and the company is continuing with a summer order of $ 40,000 (Rs. 7 m approx.). A summer order worth $ 150,000 (Rs. 26 m approx.) has been executed for a UK buyer. During this event, EDB promoted a new sector, ‘Sri Lanka fashion designing’ by promoting designs and brands of three Sri Lankan fashion designers at the Sri Lanka catwalk held parallel to the main show. That was the first time EDB provided the opportunity for Sri Lankan designers to promote individual design labels and brands in the international market which would open up opportunities for bringing more foreign exchange to the country. 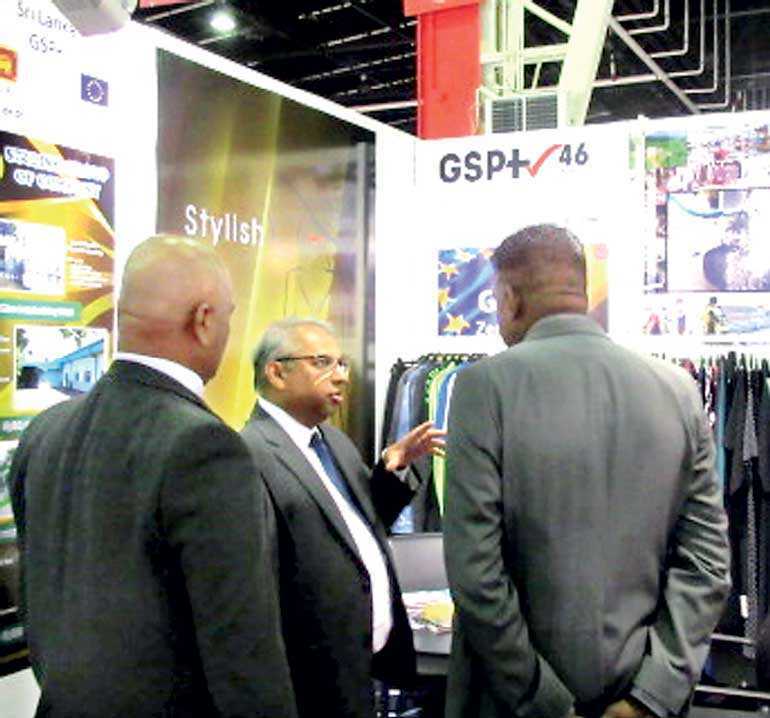 The objective of participating at this show was to get maximum advantage to promote Sri Lanka apparel and other products to regain the lost opportunities and increase exports to EU, through GSP+. 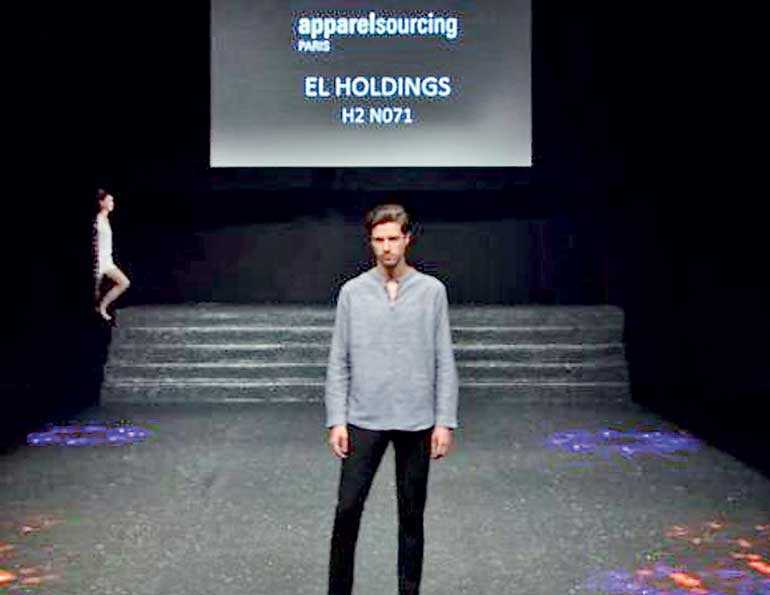 With this objective, EDB organised six Sri Lankan companies and two designers participation at the Apparel Sourcing Paris 2018 held at the Paris Le Bourget Exhibition Centre. 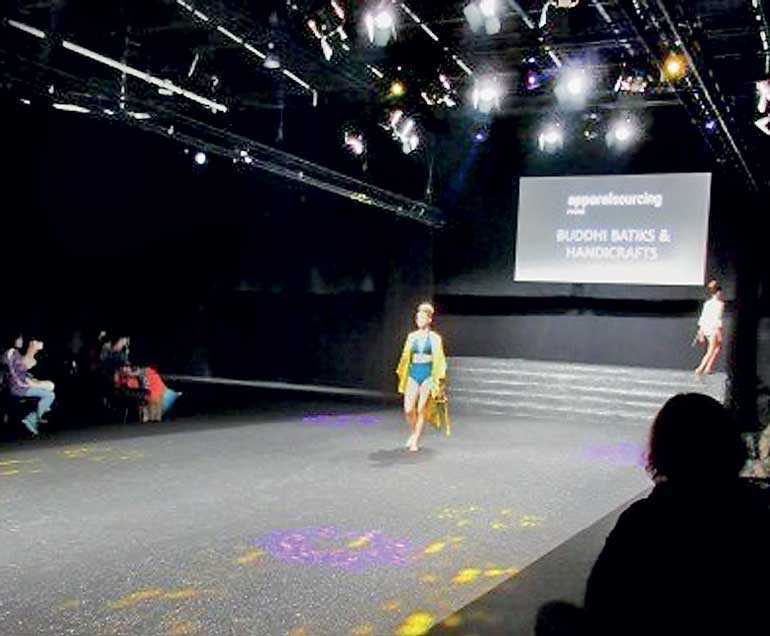 Screenline Holdings Ltd., JIA Moda Ltd., Stylish Garments Ltd., Bernard Botheju Industries Ltd., EL Holdings Ltd., Kuga Holdings Ltd. and designers Ajai Vir Singh and Darshi Keerthisena showcased and promoted their products at the show. Opportunity to source from Sri Lanka with GSP+ concessions was highlighted to the buyers visiting the pavilion. A Sri Lanka conference and Sri Lanka catwalk were also organised parallel to the fair. Products of two designers were also selected to promote at a special catwalk of Eymeric François, Catwalk Art Director. Sri Lankan companies had the opportunity to meet several European buyers from Spain, UK, Poland, and France and received good response on the quality of the products manufactured in Sri Lanka. Sri Lanka’s presence for the second time helped the buyers to strengthen relationships with the Sri Lankan companies who have commenced work with the buyers following the first meeting in 2017. Buyers went to the extent of introducing new buyers to the Sri Lankan companies which showed the confidence placed on Sri Lankan companies. Apparel Sourcing Paris is Europe’s leading sourcing trade fair, offering wide and consistent supplying possibilities for clothing: Knitwear, casualwear, sportswear, outerwear, corporate wear, children’s wear and fashion accessories. 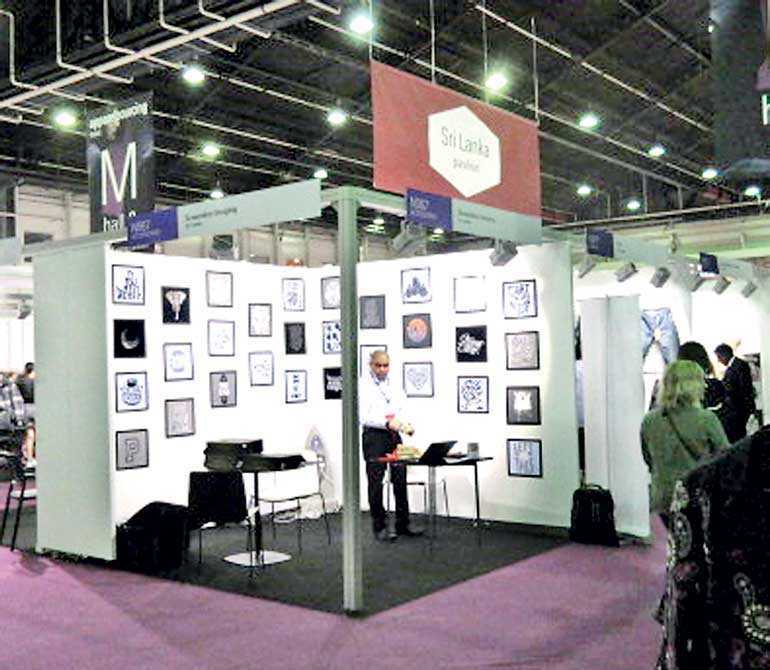 The trade fair is one of the best options for Sri Lankan apparel sector to improve their market share, not just in France but all over Europe. A large number of buyers from UK, France, Turkey, Spain, Italy and Germany visited the fair. Combined with three other events i.e. Texworld Paris, Shawls & Scarves Paris, Avantex Paris, the Apparel Sourcing Paris attracted majority exhibitors from China. The other countries that exhibited at the fair included India, Pakistan, Vietnam, Bangladesh, Taiwan, Thailand etc. The Fair displayed a wide range of fashion products from the major manufacturing countries of Bangladesh, China, Cambodia, Korea, India, Indonesia, Sri Lanka, Taiwan, Thailand, Turkey, and Pakistan. Leather World Paris, a new fair dedicated for the leather industry was also organised for the first time parallel to the other four shows to promote a range of leather garments, accessories such as bags, shoes, and other fashion products. An order worth $ 800,000 (approx. Rs. 145 m) is in the process of manufacturing after finalising samples developed as per buyers’ requirements which is expected to be shipped within the next three months. Several new orders are under negotiation and participants are confident of converting them into confirmed orders in the future. Continuous participation at Apparel Sourcing Paris has benefitted the exporters and designers immensely to understand the market, its requirements, and trends, and win the confidence of buyers which will result in bringing more business to the country. The continuation of Sri Lanka’s participation at the fair is important in making Sri Lanka more visible to the buyers who are looking for new partners for sourcing, maximising on the GSP+ concessions and consolidating Sri Lanka’s position in the long term.